Create an artistic experience for your next event! You can curate your experience by booking a private workshop for 8 - 20 people, or rent the Gallery for a party. 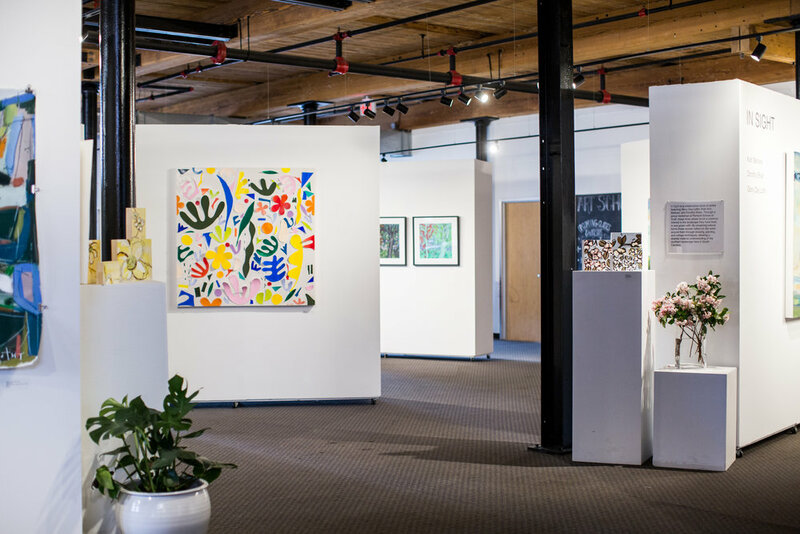 Click below for more information on “Art by Appointment” workshops and scroll down for information on hosting your next event at GCCA. of the community through visual arts promotion, education, and inspiration. The Art Center is primarily a year-round art school that offers workshops, summer camps, and 6-week classes. 4 galleries include exhibitions of work by local, regional, and national artists. 15 working artists rent studios in Studio Artist Hall on the second level. We are located in the historic Brandon Mill Cloth Building, a beautiful and interesting setting for our programs and for a variety of events. One way we support our mission is through renting the Main Gallery and Gray Loft for events and meetings. 4,000 square feet of a uniquely artistic space for your meeting, cocktail party, or event. Our exhibitions change every 8 weeks, creating an exciting and interesting environment that will be sure to entertain your guests! See pricing guide and complete the inquiry form below. Located on the second level of the Art Center. This room is a beautiful space for bridal portraits, engagement photos, senior/graduation photos, and more. Original floors, windows, and architecture. Serves as our primary classroom space. Very limited availability based on the Art School schedule. Ceremony only. The Gray Loft cannot accommodate food/beverage. If you are interested in hosting your meeting or event in the Main Gallery or Gray Loft please take a look at the Pricing Guide below then fill out our Inquiry Form and we will discuss the options with you. If you would haven't been to the Art Center yet, we would love to give you a tour! Click below to fill out our facility rental inquiry form. Once we have received your information, you will be contacted to discuss details. Click below to view rental costs for the Main Gallery and the Gray Loft. Click to see photos of both spaces and events that have been held at the Art Center. The photographer or coordinator joins with a membership. Click here to learn about member benefits. Note there is limited availability based on the Art School schedule. Note: GCCA Facility Rentals do not include the West Village Lofts at Brandon Mill or any part of their outdoor facilities.